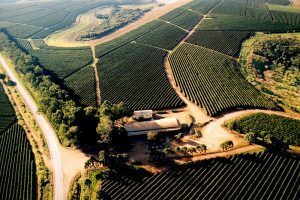 The lands that make up Hacienda La Esmeralda where first brought together as a single estate by a Swede named Hans Elliot in 1940. This land comprised several hundred hectares in what are now the Palmira and Cañas Verdes farms. In 1967, a Swedish-American banker by the name of Rudolph A. Peterson (1904-2003) bought Hacienda La Esmeralda as a retirement venture. At the time, the land was predominantly pasture for beef cattle, with some small smatterings of coffee mixed in. By 1975 the Petersons had switched the farms over to dairy cattle which performed quite well and continues to make up half of Esmeralda’s farm land today. 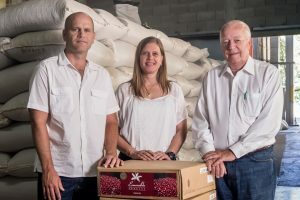 In the mid-80s, the family was looking to further diversify and coffee, with its rich production history in the Boquete region, was a perfect opportunity. Coffee had been growing on lands in and around Hacienda La Esmeralda since at least, 1890, and it was this huge reservoir of coffee knowledge and culture that helped the Petersons redevelop much of their land for coffee farming and even make their first coffee farm expansion at Palmira in 1988. Now, it bears mentioning that coffee at this time was almost exclusively an undifferentiated, mass-market, endeavor in Panama. It was not until the mid-1990s that some North American coffee buyers started talking about Specialty Coffee widely. 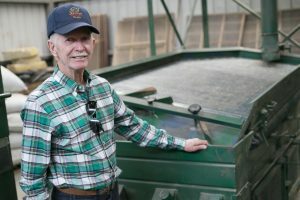 In 1997 the Petersons purchased the land that became the Jaramillo Farm. This plot on the sides of Volcan Baru was selected specially for its high altitude, in hopes of developing higher scoring, livelier and more nuanced coffees. That said, it was only by serendipity that the famous Geisha coffee was planted on this farm, in a story you can read in-depth. 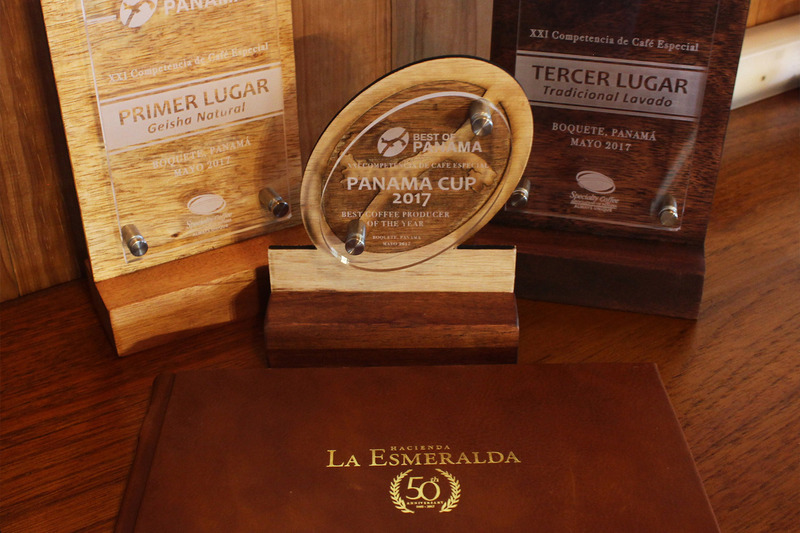 After the events of 2004 and Geisha’s official coming out at the Best of Panama Auction, much of the Peterson’s focus settled on developing an infrastructure to support superior lot separation, meticulous processing, and a healthy auction format. As auction prices grew and grew, so did the demand for experiments like Natural Processing, and for ever more specificity in lots. Delivering on this infrastructure allowed Hacienda La Esmeralda to look to the future with confidence, and in 2007 the Petersons began a decade-long research project into coffee varieties. Over 400 different accessions (or sub-varieties) have been planted in the high altitudes of El Velo, Hacienda La Esmeralda’s newest farm. It was a happenstance of altitude and lot separation that discovered Geisha’s amazing flavors and aromatics. 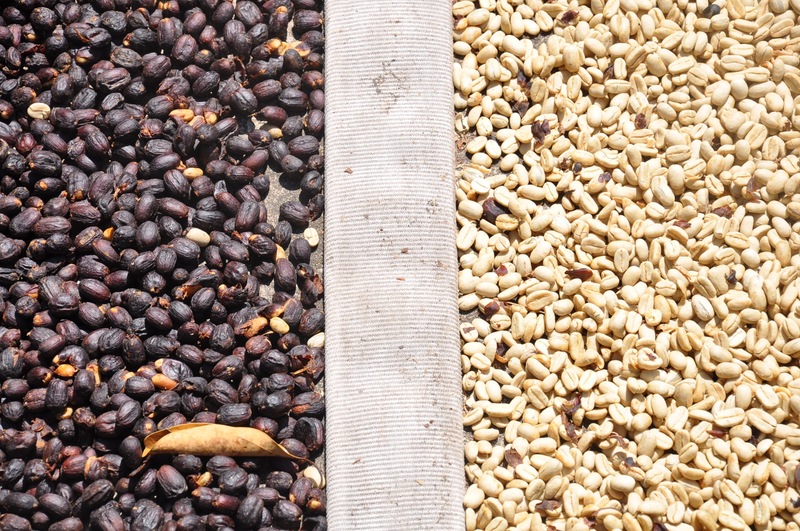 The hope is that by carefully planting a high altitude environment with many seeds, some from the same germbanks that originated Geisha, other interesting and exciting combinations of variety and microclimate may be found. Description of Flavor: Bergamot, jasmine, honey, lemon flower, light vanilla, brown sugar and floral aftertaste. Description of Flavor: Jasmine, pineapple, lime, lightly nut in aftertaste, and rich and aromatic brown sugar flavor. Description of Flavor: Orange, grape, citrus, walnut, butter, sweet texture.